Powers itself deeper into 3" to 6" ID drains— not recommended for other sizes. Most Commercial pressure washer hoses have 3/8" Quick Connect fittings. 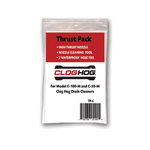 For these choose For Pressure Hoses with 3/8" Plug or Socket - Adapter Kit AK-T on this page. Some Commercial pressure washer hoses have M22 Twist fittings. For these choose For Pressure Hoses with M22 Twist Fittings - M22 Male Adapter on this page. I bought a 150ft commercial jetting rig recently and it has worked beyond my expectations. I have done small drains and 4inch mains as well with awesome results. This item really help me a lot in my business. Excellent product, but I am not impressed with the sales team. I am the facility director at a rather large aerospace manufacturer that is plagued with process clogs. We had successfully used 100' consumer grade jets but because of the length of the pipe would have to break pipe to fully jet it. This jet worked perfectly. The only reason I gave a poor rating was because of the sales team's attitude. The entire time they tried to talk me out of their flagship product claiming it was a professional product only and it wasn't suited for my needs, which I'm pretty sure they dont know. I understood the nature of this product, checked off the disclaimers ordering online which was strange enough and received a call that my order would be canceled unless I called them to justify my purchase. I explained to the sales rep that I understood what I was getting into and wasn't some homeowner but an industrial customer. He did everything he could to talk me out of the purchase. Again, I am very impressed with the overall quality and effectiveness of the jetter, it will save hundreds of hours in labor per year, but unless you know the secret handshake or whatever be prepared for a struggle to buy one. 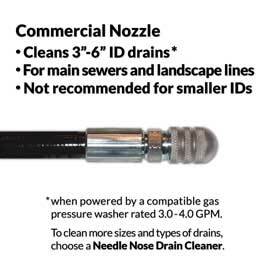 We definitely recognize this order, because the remarkable corporate name and unexpected combination of items suggested (correctly) that the purchase was intended for an exotic industrial application and not for normal sewer cleaning. 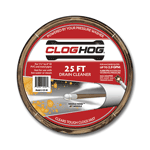 Our records show that a Clog Hog support engineer - not a salesperson - called to try and confirm that the products could help solve this unusual pipe cleaning problem safely. Tool works great!! We have a restaurant and we are using it to keep our drains clean and it does a great job! This is a great product. 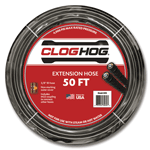 It is perfect for unstopping long drain lines. Buying this Jetter has saved us 1000's in plumber costs. Caleb, thank you for your comments. 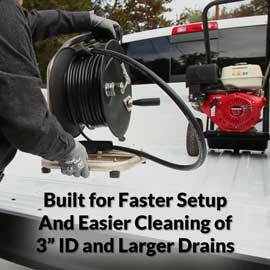 Your Commercial Handy Jetter is recommended for 3"-6" ID main drains, landscaping drains and septic lines. 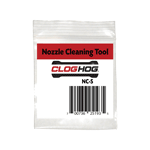 Your odds of passing through smaller diameter elbows and transitions are much better with our Needle Nose Drain Cleaner. 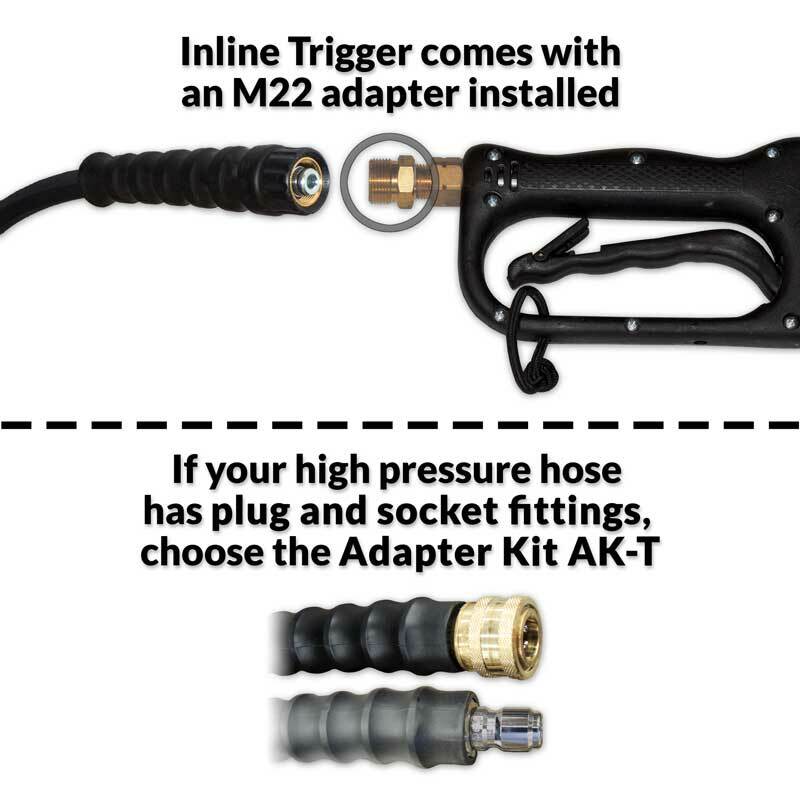 When you're done using the Handy Jetter, it's recommended to lock the reel by turning the locking ring, and then tuck the nozzle through the elastic loop that you also use to secure the trigger gun onto the carrying handle. This keeps the nozzle and jetter hose neatly in place for easier carrying. 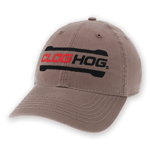 The Clog Hog has been a great investment for us it paid for itself the first time we used it. Great for small drains as well. Danny, thank you for your review. 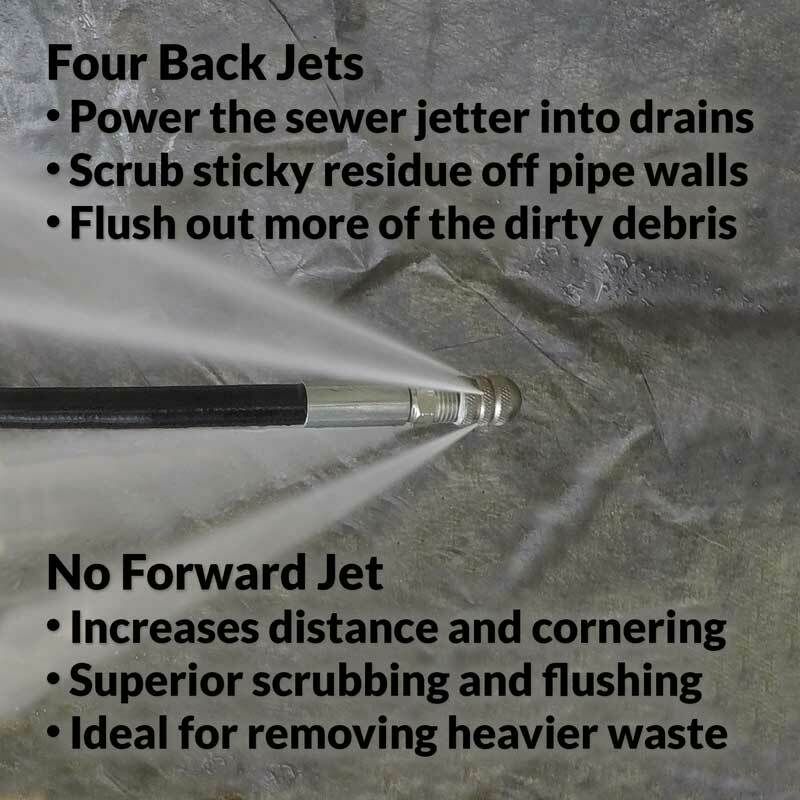 The Handy Jetter is mainly designed for 3" to 4" ID drains, but can also help clean many smaller ID drains provided that there are no short-radius elbows like you'd find in fresh water lines. 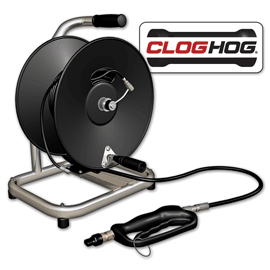 For greater odds of success in smaller drains, Clog Hog offers a Needle Nose Drain Cleaner that can pass through almost as many smaller elbows and transitions as a hand-held auger. 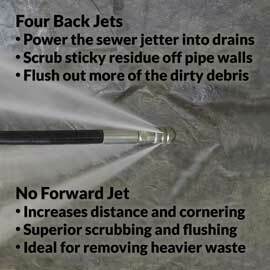 This jetter is more than worth what it costs. It is easy to use even under a kitchen sink. 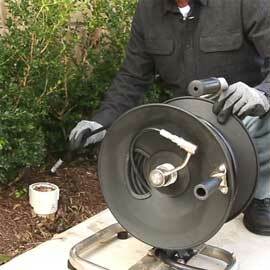 One difficulty I have is how to get it to roll up nice on the reel while trying to pull it out of the drain. 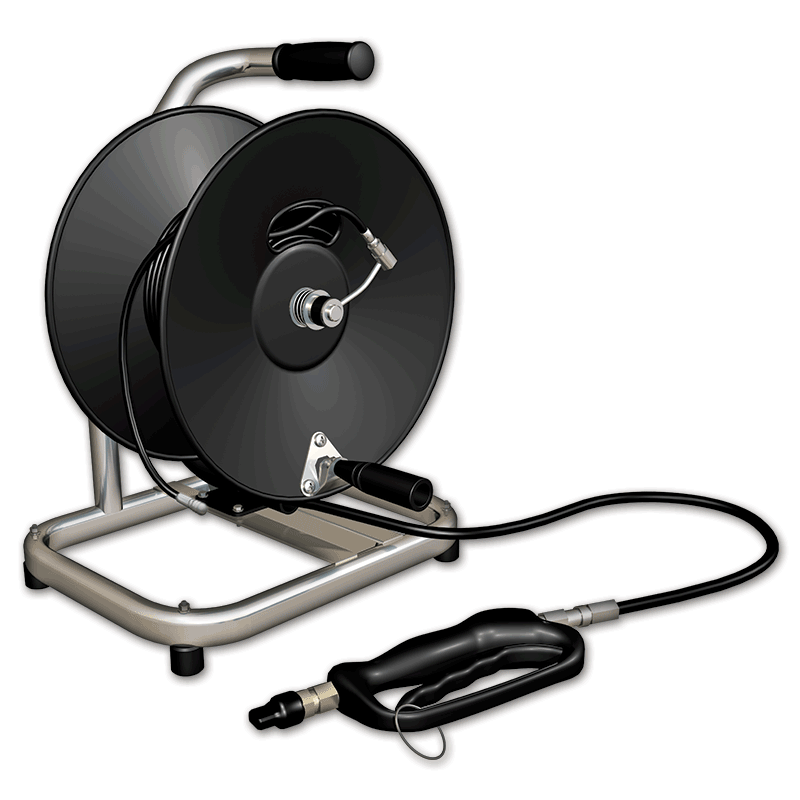 The type of hose can make it difficult to stow on the reel. Otherwise it is a very good product. This unit performed as specified but I experienced problems due to the drain configuration. There was a right angle turn into the 4 inch line from a 1.5 inch line and the hog had difficulty making this turn and progressing on down the 4 inch line. It actually became stuck and I had difficulty extracting it. Steve, thank you for your comments. It's usually easy to wind up the jetter hose so that it's nice and neat on the reel if you use one hand to turn the wind-up handle and the other to keep a little tension on the hose as you draw it back onto the reel. 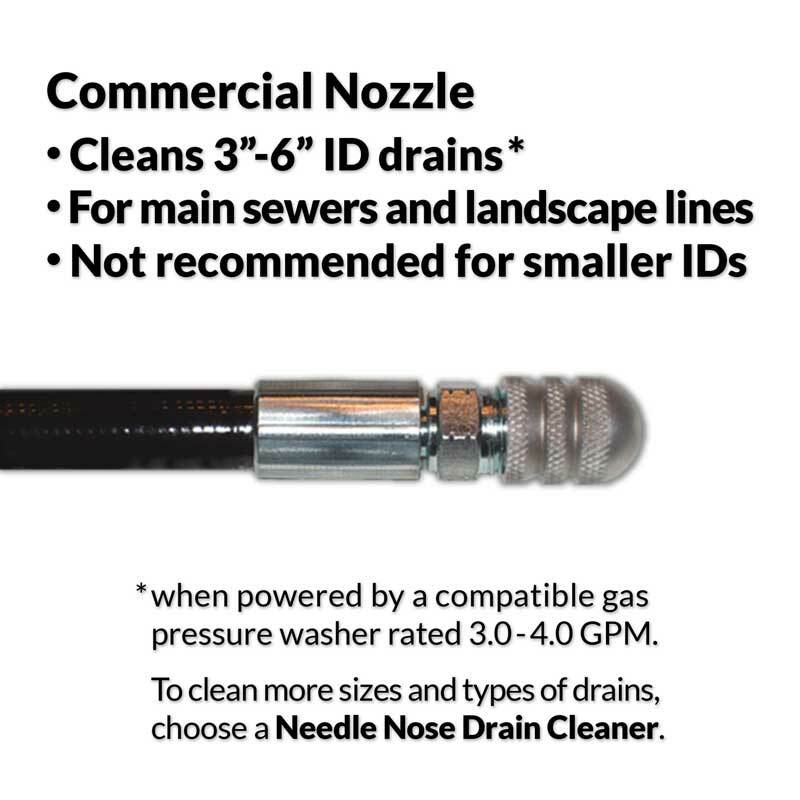 If you're jetting through smaller lateral lines down to 1-1/2" ID, we recommend that you also try the Needle Nose Drain Cleaner, since its shorter tip can make it much easier to pass through transitions in smaller lines. Cleared the stack and the kitchen waste arm. First using a 2" Fernco cap on the waste arm so I could clear the stack. Then using the same cap I put a three eighths of a inch (3/8") hole in the center of the cap and cleaned the waste arm. Hogged it out!! !